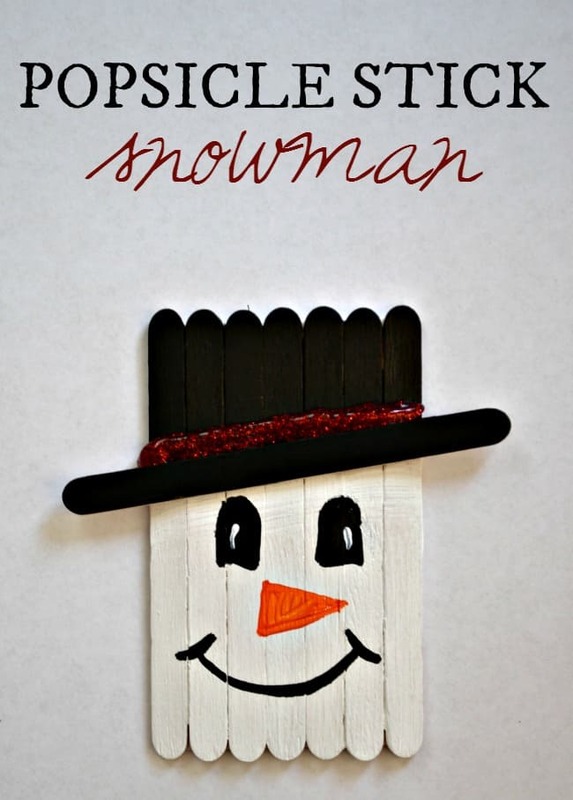 This popsicle stick snowman craft is a perfect holiday time activity for the kids. It can be turned into a cute magnet to hang on the fridge or an ornament for the tree. 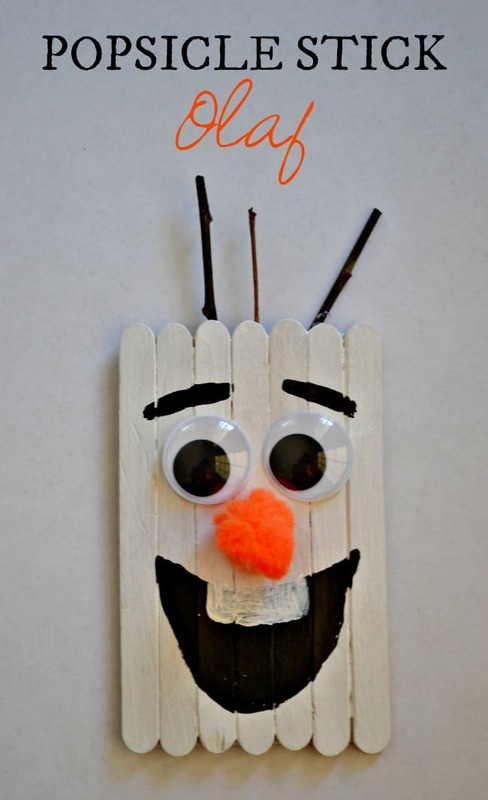 I know a lot of you may be out shopping today looking for some good deals but if you are home spending time with your family, maybe putting up Christmas decorations then how about creating this weeks, Crafting with Kids! craft. 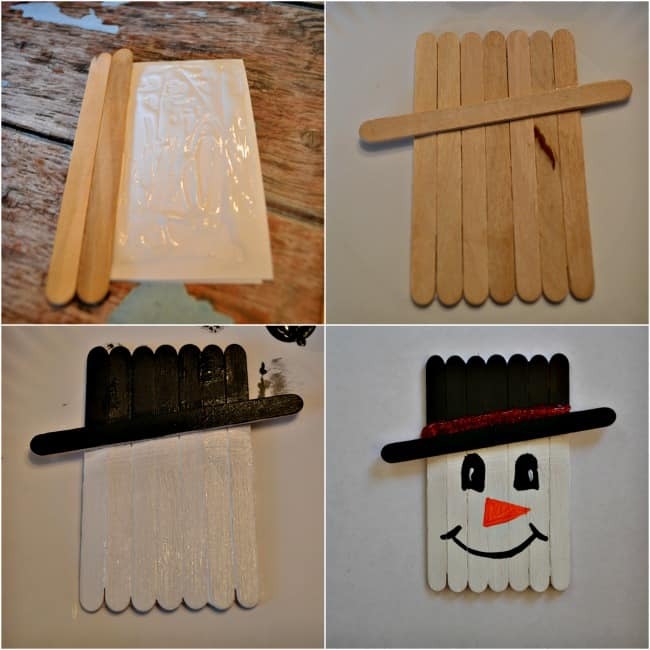 We have two versions of today’s Popsicle stick snowman craft, a regular snowman, and Olaf. Because who can resist Olaf right? 1. Start off by using Elmer’s glue to glue on your craft sticks, 7 of them, to your cardstock or cardboard. Let dry! 2. Glue on the additional craft stick to create the hat portion. 3. Paint the base of your snowman. The body is white and the top hat, black. 4. The next step is to paint on the face. Depending on the age and painting skill level of your children you could always paint the face on for them or cut out pieces of felt or foam and attach with glue. 5. At this point, we added glitter glue on the hat to dress it up. This step is optional. 5. Lastly, attach magnets or ribbon to the back of your snowman if you wish. I usually use two .75 inch adhesive magnets. 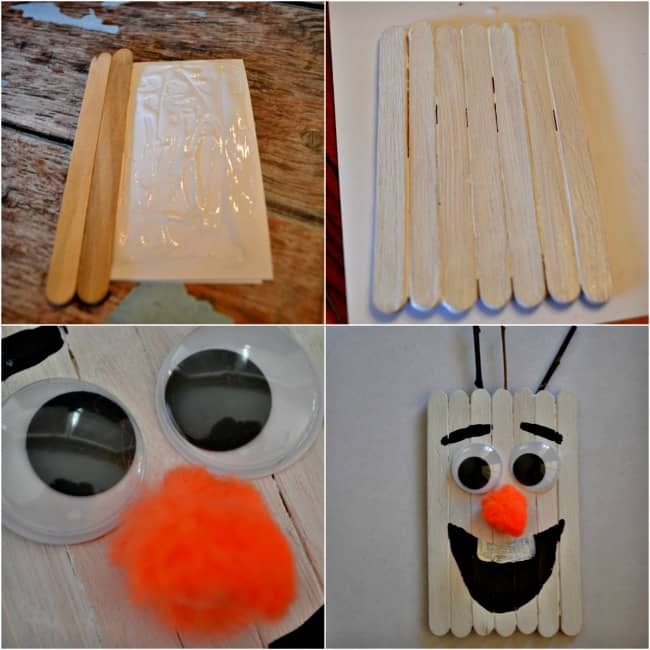 Here are the steps to create the Olaf Popsicle stick snowman craft. 2. Paint the base of Olaf white. 3. Attach the wiggly eyes and pompom nose with Elmer’s glue. 4. Paint on the eyebrows and mouth. 5. Using hot glue attach the hair pieces. We used twigs but you could also use a black pipe cleaner. 6. Lastly, attach magnets or ribbon to the back of your snowman if you wish. I usually use two .75 inch adhesive magnets. I’ve been off work for an extended period of time due to health problems and I’m really limited as to what all I can fo. With that being said I was looking for an easy project to make something special for my grandson and many nieces & nephews for Christmas, I made the sled ornaments with each of their names on it and made the snowman ornaments for my children, my brothers & sisters and even my 83 yr old father. The snowmen is attaxhed to each of their Christmas cards ???? Thank you for this easy and great project!